South Korean media: North Korea planning large-scale [military] exercises on its Western sea coast. According to the South Korean press agency, North Korean plannings comprise joint manoeuvres of the air force and artillery troops on the Yellow Sea coastline in Nampo 南浦 region which is south of Pyongyang 平壤. The extent of that military drill is expected to be rather great. Associated Press [AP] made an overall evaluation of North Korea's [military] resources like artillery, air force, guided missiles and nuclear weapons. Artillery: The AP evaluation is quoting a South Korean source as saying that North Korea owns 13.000 pieces of artillery. Long range artillery can reach the South Korean capital Seoul which is only about 50 km away from the border. However, according to the South Korean defense minister, five days after war had been started by the North, 70% of artillery deployed by the North to the border region would be "out of function". Naval forces: According to the South Korean defense ministry, North Korea should possess 70 submarines while South Korea is owning 10. Air force: 820 fighter jets owned by North Korea are being considered by the South as oldfashioned and outdated. Guided missiles and nuclear weapons: According to a U.S. expert, North Korea is most probably unable to target U.S. territory but Pyongyang "could probably" apply short-range nuclear missiles. Biological and chemical weapons: Pyongyang owns more than 5.000 tons of chemical weapons, the real amount being "subject to guesswork" [source: a foreign institute for strategic research]. However, North Korea has probably made real plannings for its biological and chemical weapons. The Chinese headline above is using an interesting expression (家底). What can be simply translated as "resources" has an original meaning of "family property accumulated over a long time". Such we could speak of the "military inventory of the Kim family" ! An undefined element on the Korean peninsula still exists [like] an undecided game of chess. That semi-official article refers to the obviously unexpected U.S. - South Korean landing manoeuvre on the Eastern coast of South Korea near Pandong. 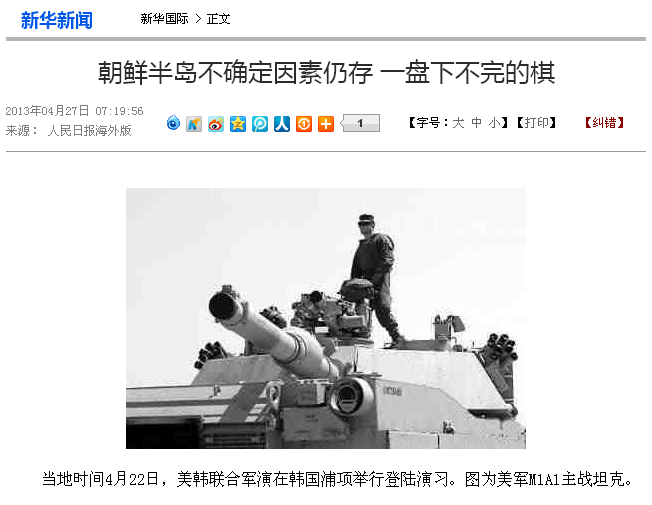 It is showing the photo of a U.S. main combat tank M1A1. UPDATE for 1st May, 2013. South Korean media: North Korea has [already] begun nuclear war preparations in the early 1970s. A diplomatic document from Hungary, registered on February 16, 1976, is showing that North Korea began its nuclear war preparations in the early 1970s. This is one of 125 declassified documents from Woodrow Wilson Center in Washington. That center has to track down for research such diplomatic records related to North Korea that came from its former communist allies, the Soviet Union, Romania and Hungary. Editor's Note: For a better understanding the original Chinese text has been rearranged. 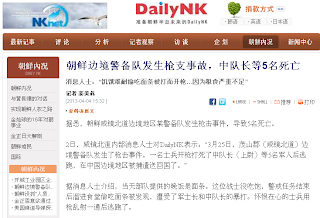 Further news received on 1st May are dealing with the declaration of an "economic reform" by North Korea's prime minister [Wuhan Evening News] and a recent report from a South Korean research organization saying that the North is increasing its import of chemical fertilizer for the development of agriculture [Global Network]. On the Korean battlefield, China's air force was near to become good at defeating U.S. troops with [its] unique skill. In the frame of increasing tensions between North and South Korea, there seems to be an increasing interest among Chinese internet users in historical proceedings of the Korean War. A brandnew article, published today, April 28, by New China Network, is now dealing with one special subject of the Korean War: The so-called MIG Corridor which has been marked on the below map. That was a region where Chinese MIG-15 fighter jets got engaged with U.S. F-86 warplanes. China's military, acting in North Korea under the label of a "Chinese volunteers' army", had to buy those MIG-15 fighters from the Soviet Union where Stalin had granted permission to Korea's communist leader Kim Il Song for an attack on the pro-Western state of South Korea. Such permission, however, should be relying on China's approval. The People's Republic of China then became North Korea's most reliable ally. On a banquet for the hungry generals and which was celebrated in commemoration of the People's Army foundation on April 25, some unknown Korean flower had been detected (photo below). Press circles assume she might be the little sister of Kim Jong Un. From the World to Your Phone: A visitor from Lagos, Nigeria, was searching for "blue print news headline" on his rather small cellphone display. the actual blogspot of "blueprint news". surprise attack on its opponents ". On April 26, U.S. and South Korean marines joined the U.S. - South Korean combined exercises at the South Korean seaport of Pohang. South Korean seaport of Pohang 浦项 situated by the Japanese Sea. - Some Chinese blog from November 2012 is saying that China would like to use Dancheon together with further seaports on the Japanese sea which are already in use at the north-eastern coastline of North Korea. There's a special administrative area including an important seaport at 罗津 (Chin. 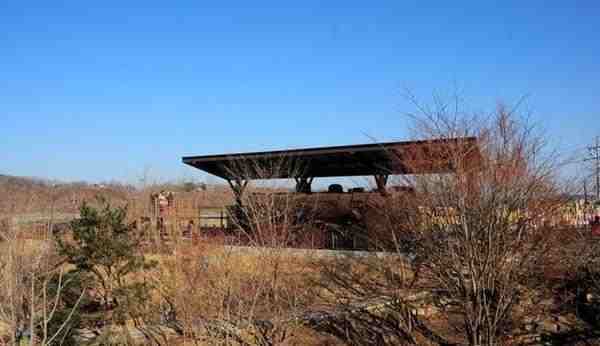 : Luo Jin) which is north of Chongjin 清津 and near the Russian border. [=> refer to below map]. 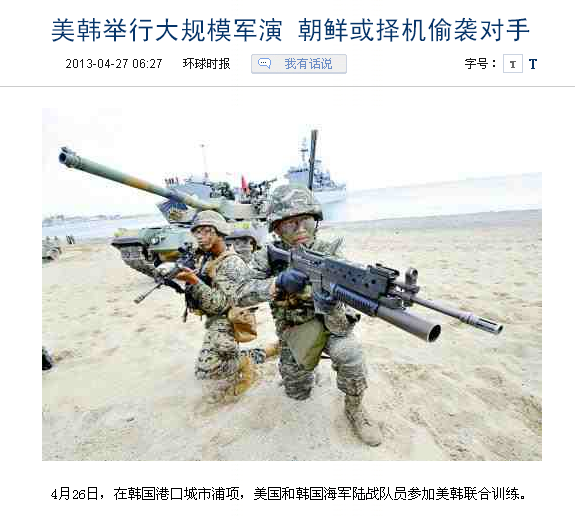 - Another brandnew article, published yesterday, April 26, by China Radio CRI, is dealing with the same seaport project. Dancheon (Chin. 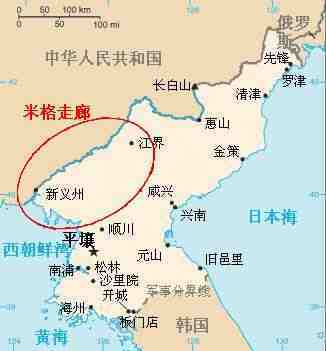 : Duan Chuan) 端川 is considered to become an international seaport for North Korea. With abundant mineral deposits of magnesite and zinc in its neighbourhood, that seaport's construction project was officially completed in May 2012. 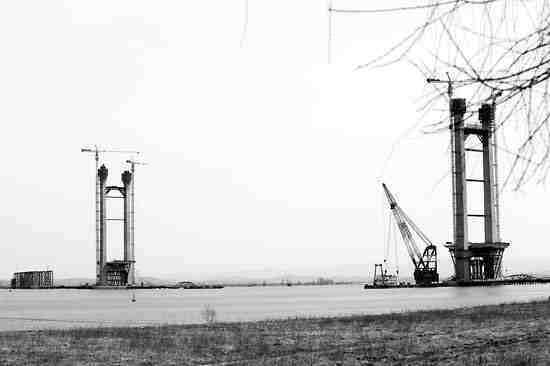 According to a South Korean business analyst, quoted by CRI, the construction of that port is fitting a unique scheme of North Korea's economic and nuclear development. The port should be used for the export of mineral products that seem to be the main income source of hard currency (or needed goods) for North Korea. Other reports recently mentioned the bridge passage to China at Dandong as an important export hub for North Korean mineral products. View on Dancheon 端川 seaport. North Korea is attracting foreign capital for the construction of Dancheon 端川 seaport that is to become a port for international trade. In the middle of a severe famine that has been unveiled by, both, Chinese and South Korean sources, Pyongyang has just opened a restaurant ship. Its inauguration took place on the foundation day of N Korea's People's Army on April 25 and culminated in a speech held by the N Korean prime minister. The ship should serve 300 dining guests on two levels and is most probably targeting foreign tourists as N Korea is badly in need of hard currency. News on a food shortage that is even affecting units of the People's Army can be found in recent blogspots of mine. Related subjects are: North Korean soldier shot his superior when being caught while eating stolen food. Earlier delivery of cereals on behalf of the United Nations included American wheat for U.S. army purpose. Mongolia, alarmed by the actual North Korean food shortage, is planning a delivery of cereals. Li Wei: [After] explosions took place in the U.S.A., North Korea suspends provocations to avoid arousing suspicion. Li Wei (TV screenshot above, left portrait), an expert who had been questioned in a talk show program of Ifeng TV, considers one [main] reason for North Korea suspending its provocations for the time being. It is the most recent bombing in Boston because, at times when tough language is being spoken by North Korea, people might come to think that provocation must be related to a terrorist attack in the enemy's country. This, however, has been rejected by North Korea. Brzeziński: North Korea unexpectedly became peaceful, probably because China already exerted pressure. Zbigniew Brzeziński (*1928) is a former National Security Advisor to the President of the United States (1977-81) and who enjoyed much influence on global policy making. A visitor to "blueprint news" who came from the Mongolian capital Ulan Bator on April 25. As to Mongolian food delivery to help easing the actual North Korean famine, please, refer to yesterday's blogspot of mine. Important UPDATE inserted on April 24. Above picture: Japan's maritime self-defence [i.e. coast guard]. Zhang ZhaoZhong: Japan makes greatest profit from a dangerous situation on the Korean peninsula. South Korea's bad luck. Cable from People's Network, Beijing: The crisis of the Korean peninsula is going on for a very long time. During that time the peninsula crisis has evolved into a critical item. Every party having made clear their position, all positions being [some kind of] delicate. In a program [broadcast] by China's Central TV station and which is named "New Defence Survey", military expert Zhang ZhaoZhong declared: Japan has undertaken heating up the "debate on a North Korean threat" to exceedingly profit from huge arms equipment while South Korea is [in a position of] "extreme bad luck". North Korea is probably going to start [its] fourth nuclear test. NATO makes a statement regarding the situation of the Korean peninsula, appealing to North Korea to proceed to nuclear [disarmament] talks right away. The article is referring to a meeting of foreign ministers from 28 NATO member states in the Belgian capital of Brussels yesterday, April 23. Asking Mongolia for help with cereals. Indications of a serious historic famine in North Korea. The article is quoting a Global Post 全球邮报 report from April 22 saying that the Mongolian ambassador to North Korea, in an official call on the Mongolian president earlier this week, asked for helping North Korea with a delivery of cereals. The truth about North Korea's great famine: America helping children with cereals from top priority army supply. It's about United Nations' food delivery to North Korea between 1995 and 2002, using cereals that came from the U.S., from China, South Korea and Japan. South Korea is afraid of the North starting a "tunnel warfare". On both front and back side four [tunnels] have been discovered. Hong Kong's "Asia Weekly" magazine in a beforehand edition on April 21 reported on the following subjects: War of nerves on the Korean peninsula. South Korea taking strict precautions against a surprise attack from underground tunnels. North Korea's decisive battle may be triggered at any moment. A South Korean diplomat residing in China told "Asia Weekly" magazine: " Actually, North Korea is launching an offensive from air and earth. We have means to deal with that. Most to worry is the underground [attack]. As to the underground tunnels that we call 'Southern invasion tunnels', we have discovered four of them on, both, front and back side. But, after all, how many [exist] ? During many decades nobody could be precise about that. Their troops possibly already under our feet, [uneasiness about Northern brand appearing at any mile], easily at one stroke, mysteriously, this is utmost terrifying. " 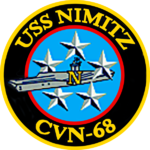 America dispatches aircraft carrier Nimitz to proceed to the West Pacific for keeping watch on North Korea. At the 38th [degree of latitude] North Korea is digging a tunnel at 100 m depth. South Korea is carefully controlling such underground activities. Korean peninsula, taken from the South Korean side on January 27, 2013. Here now a quotation from that U.S. article mentioned on yesterday's blogspot of mine: "There's No North Korea Crisis". The Korean Crisis - A Farce ? U.S. publication: The Korean peninsular crisis is a "blooming of politics". The Chinese source is quoting the U.S. bimonthly magazine "The National Interest" 国家利益, a prominent conservative publication dealing with political trends that U.S. congress and government are dealing with. The original title of the quoted article is "There's No North Korean Crisis". That article had been published as early as April 12 by Robert A. Manning, a former high-ranking official in some policy planning staff of the U.S. government. His article has been considered important enough to make its way into different Chinese networks. 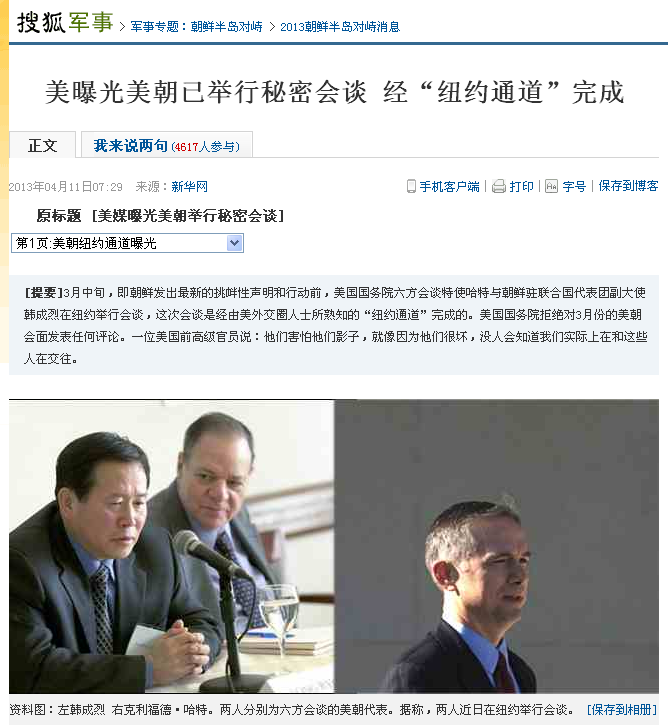 An evaluation by "New China Network" is using the U.S. author's original expression of a political farce 闹剧 in the main text instead of blooming of politics 政治秀 in the headline. North Korea and the U.S.-South Korean side are mutually exploring the other side's basic lines. Both sides while playing chess can get even more fierce. On [April] 18, North Korea officially [began] expounding North Korea's principle position as a prerequisite to launching a dialogue that is dealing with the peninsula subject. This came after rejecting an olive branch stretched out by the U.S. and South Korea [and offering] the North Korean side to lay open its conditions for talks. Though, the conditions [exposed] cannot be accepted by the U.S., Japan and South Korea, everything is within the frame of what is being expected. Experiencing another side of North Korea at the Chinese - North Korean border. 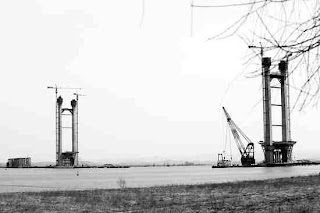 That article is reporting about peace at the Chinese - North Korean border near the river passage of Dandong where a new bridge between both countries is under construction. U.S. Army speeding up a change of war strategy. 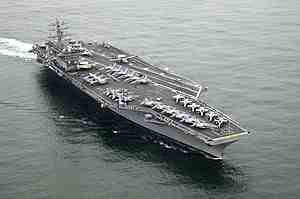 - The Korean peninsula becoming a place for showing off advanced U.S. weaponry. In short: Currently, U.S. troops are brazenly deploying a whole set of advanced weapons at the periphery of South Korea. Now that [America] is considering once again to test its response capacity while dealing with the Korean peninsula at the time of an "accident" [or: something unforeseen], it's as well about showing off U.S. military strength to [their] allies and [about showing] that America is their strong and reliable friend forever. Such strengthening U.S. influence in the Asia - Pacific region, America's ultimate aim is to realize its strategic intentions for [that region]. South Korea buys 36 Apache helicopters for "responding to North Korea". The South Korean government provides a budget of 1.800 billion South Korean Won (which is about 9,946 billion Chinese Yuan / Renminbi = 1,6 billion U.S.$) for the purchase of 36 Apache helicopters AH-64E between 2016 and 2018. Apache helicopters are as well used by U.S. combat units. They are manufactured by Boeing, U.S.A..
One white poplar is in danger to initiate the "Second Korean War". Recently, the smell of gunpowder is growing stronger and stronger on the Korean peninsula. A "Second Korean War", it seems, is on the verge of breaking out. Looking back in history for nearly half a century, [we remember having experienced] three dangerous moments of facing a "Second Korean War". [literally: happyness and rage are changing]. The South Korean schoolmaster "posing as a hero"
turn] the situation out of control. South Korea denies secret contacts with the North. from the South Korean ministry of reunification.
" All the time before I came to believe, the Chinese - Korean people's army could really achieve a joint victory, my main concern was that I wouldn't die from the hands of Chinamen but rather during an air raid of the Americans. To put it in short: At that time, I only thought of China having to lose that war and me having to die. Moreover, I couldn't imagine any other result. " " The Chinese - Korean people's army driving the U.S. away from the 38th degree of latitude was something on what we habored much doubt as well. " " I considered this could only mean that U.S. troops were pressing towards Harbin, [and I expected] the Communist Party to finally put their hands on us when total war was inevitably coming closer. " The author Pu Yi was still undergoing re-education at that time and was not yet the personality that later became some kind of a "model citizen" and reputable member of China's Political Consultative Conference where he was engaged in historic research. In those later years he even enjoyed the personal protection of China's former prime minister and chief diplomat Zhou Enlai. Last UPDATE from April 15 further down ! Kim Jong Un uses war to control the people. On [April] 12, former North Korean secret agent Kim [...] said that North Korea's clamour of launching a hot nuclear war is not at all casually made. North Korea's leader Kim Jong Un is using his nuclear plannings to control the people of North Korea and, for the time being, to force South Korea and the U.S.A. to make concessions. In 1987, former North Korean secret agent Kim [...] learnt of Kim Jong Il's order to use bombs when making a surprise attack on a regular South Korean [passenger] flight which caused the death of 115. New Tang Dynasty TV is a Falun Gong near Chinese broadcaster based in New York and providing uncensored news via satellite to mainland China and Chinese communities abroad. Korean Air flight 858 was a scheduled international passenger flight between Baghdad, Iraq, and Seoul, South Korea. On 29 November 1987, the aircraft flying that route exploded in mid-air upon the detonation of a bomb planted inside an overhead storage bin in the airplane's passenger cabin by North Korean agents. It must be added that Kim Jong Il always feared boarding a plane. That's why he travelled in his special train even on rare occasions of foreign state visits to Russia and China. It was in August 2011 that he met with Russia's president Medvedyev in Ulan Ude, the capital of Buryatia and which is a remote region of Russia dominated by its Mongolian minority. Kim Jong Il's trip to Ulan Ude required four days for both directions where he travelled some 7.800 km altogether. South Korea deploying guided missiles in the neighbourhood of its capital to react on North Korea. Telegram by China News Network on April 15: Today is anniversary day of deceased North Korean leader Kim Il Sung's 101st birthday. North Korea also fixed that day for the "Sun Festival". For the last few days, all kinds of activities have been [staged] to welcome the day of festival to come. At the same time, however, guessing still continues whether North Korea can launch a guided missile or not. Furthermore, North Korea replied to South Korea's proposal of dialogue as being "not sincere". According to public opinion the peninsula's situation is facing the crux of a sensitive and vital juncture [or: a sensitive point of the festival], thus leaving [the situation] as complicated and confusing as before. Today it's about China's key role in the North Korean conflict. The following BBC report is underlining the necessity for the U.S. to come to terms with China on that issue while a semi-official statement from China is showing how difficult further development of the conflict might become for North Korea's long-standing ally China. U.S. Foreign Secretary Mr Kerry is travelling to Seoul on his first trip to Asia since becoming secretary of state. A senior administration official told reporters on board his plane: "It is no secret that China has most leverage, most influence, with North Korea and I think fundamentally we would want them to use some of that leverage because otherwise it is very destabilising and it threatens the whole region." The official added that, although Washington was not privy to conversations between China and North Korea, "we would want China to bring a sense of urgency, the need to stop this escalation, into that debate". "China has a huge stake in stability and the continued North Korean pursuit of a nuclear armed missile capability is the enemy of stability. That gives us and the Chinese a very powerful objective in common, namely denuclearisation," the official said. U.S. President Barack Obama has urged Pyongyang to end its "belligerent approach... and to try to lower temperatures". But he warned that while he preferred to see tensions resolved through diplomatic means, "the United States will take all necessary steps to protect its people". Foreign media are boiling up that [China's] People's Liberation Army is moving troops on a large scale at the border between China and North Korea. - The ministry of defense is denying that. The news office of [China's] defense ministry replied that related news reports don't conform to the facts. The Chinese side is following with utmost interest the current developments and changes of situation on the Korean peninsula, and is persistently working to safeguard peace and stability in the North-East Asian region. The article is naming a Japanese source for reports on Chinese troop concentrations near the border passage of Dandong. North Korean media write: "Sparks of war will probably splash down on Japan." An expression found in North Korean publications can be translated as "golden thunder [and] a spatter of rain 黄金雷阵雨". According to a South Korean source this is an old adage referring to the Korean War in the 1950s when Japan offered military bases for airborne combat to the allied countries. As Japan is voicing its condemnation of North Korean rethorics and is taking sides in favor of the U.S. and South Korea, North Korea might feel annoyed with the possibility that Japan could once again provide military bases for their arch-enemies in a military conflict. This, however, could be regarded as a realistic estimation because U.S. F-22 warplanes are already stationed on Japanese territory. Above: A Canadian visitor is using an internet access point in the U.S.
because Niagara Falls is a community divided between both countries. U.S. urging North Korea to refrain from taking further provocative action. The message was delivered by U.S. State Department's deputy spokesman Patrick Ventrell in a daily press briefing on North Korea on April 10. In the middle ten days of March 2013, there should have been a secret meeting in New York between North Korea's deputy ambassador to the United Nations (above picture => extreme left) and U.S. diplomats. Two earlier contacts in 2012 have been reported as well. The U.S. exposed that secret talks have already been held between the U.S.A. and North Korea when the "New York channel" was open. A former high-ranking U.S. official said: "They are afraid of their own shadow. It seems that because they are very bad, nobody can know whether we are actually in contact with these people [or not]." South Korea indicates that North Korean hackers accidentally dropped and left an internal IP address related to North Korea. This is regarded as a proof that North Korea is behind the cyber attack. Between 2009 and 2011 two further cyber attacks were detected as DDoS or "Distributed Denial of Service" attacks. These and later attacks in 2011 and 2012, targeting the "Association of Peasants" and the internal computer network of the "Central Daily" publisher, are now considered by the South Korean government as being planned by North Korea. Because of [imminent] danger of war, the North is suggesting foreigners to consider leaving South Korea. South Korean media say that launching preparations for North Korea's medium-range missile "Dancing to the End of Water" have been completed. The missile's range should be 3.000-4.000 km. In case its interception might be needed, South Korea can rely on two 7.600 ton warships already deployed to the Yellow Sea and the Japanese Sea. The Gaesong industrial zone which is being operated by North and South Korea has now been cleared from North Korean personnell after South Korean staff was shut out some days earlier. Xi Jin Ping said: " There is no country that should be allowed to proceed from private interest stirring up a mess in [its] region or the whole world." However, there is no direct mentioning of North Korea or reference to nuclear threat. While participating at an ASIA summit, China's new leader Xi Jin Ping indirectly admonished North Korea without mentioning the country's name. 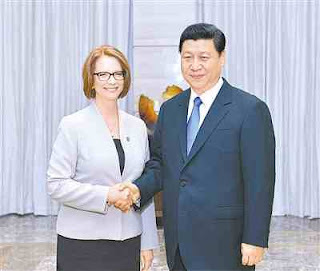 Another report from China is quoting the Australian prime minister having raised the North Korean question in direct talks with Xi Jin Ping (below picture published by 凤凰网 on April 7). The bridge across the border river at Dandong is a lifeline for Pyongyang and has made it the biggest trade hub between China and North Korea. With crippling sanctions imposed on its banking system and little hard currency, North Korea sends trucks carrying output from its mines as barter for badly needed Chinese goods in exchange, thus keeping the bridge busy with traffic. In February, after Pyongyang conducted a nuclear test, China took an unprecedented step and temporarily halted delivery of oil to North Korea, such showing its growing impatience with North Korea's belligerence. South Korean media: North Korea hoping for an Obama initiative to get in touch with supreme leader Kim Jong Un. According to a South Korean TV station (YTN), North Korea is hoping that both countries' leaders could reach an agreement in a personal dialogue. A Russian source (Itar-Tass) reported that North Korea has at present eight nuclear warheads in their possession. However, because of having not yet reached miniaturization of these nuclear warheads, it is for the time being unable to load [them] into ballistic missiles. Dark clouds of war continue to shroud the Korean peninsula. A North Korean border garrison unit [experienced] a firearms "accident" that left five dead including a captain. Press reporter: Hitting and shooting for secretly eating noodles when hunger is difficult to bear ... because food is seriously insufficient. 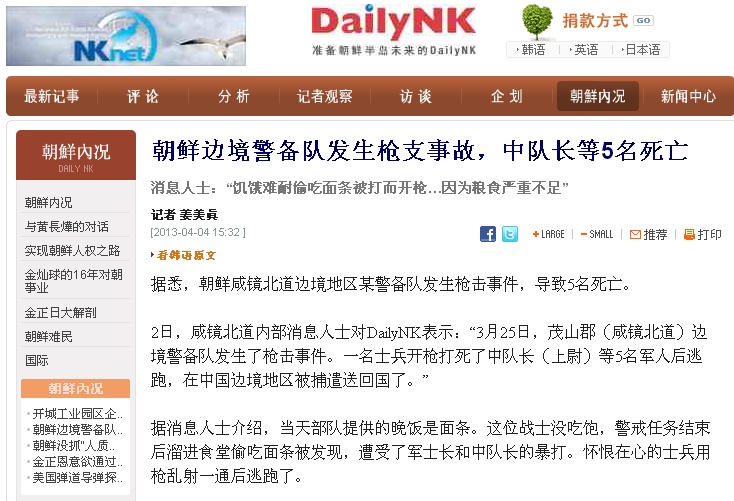 This news report is referring to an incident that should have happened at the Chinese - North Korean border on March 25 when one North Korean soldier shot five other soldiers including a captain and fled to China. He was arrested in the border district and sent back to his country. According to the soldier they were having noodles for supper that day. As he was still hungry after supper, he remained in the dining hall for secretly eating some more noodles when he was discovered. After having received violent blows from his military commander and his captain, he began shooting in an outbreak of hatred. After that he ran away. One could imagine that long-standing Chinese - North Korean relations might be the key to solving the North Korean problem. This is why I propose reading another blogspot of mine, dating back to September 2011 and which is offering an idea of China's sometimes difficult approach to its North Korean ally. It's about an unusual case of espionage. When a visitor to "blueprint news" and who came from the tiny island of Montserrat was searching for "North Korea Fidel Castro" one might have asked what the retired Cuban leader and North Korea have in common. Indeed very much ! The visitor was probably searching for an archive file of "blueprint news" containing two blogspots of mine: One related to North Korea's young leader Kim Jong Un and another related to Fidel Castro who in 2010 engaged in activities directed against nuclear war. It's all about Castro's "Memories of Comrade Fidel". Another visitor from Port-au prince, the capital of Haiti, is providing a view on destruction and misery after the 2010 earthquake equalling the cruel results of a war. However, a nuclear war might be even very much worse. Above pictures: French embassy, tents for earthquake victims, the presidential palace in Port-au prince. North Korea rebukes repeated deployment of a U.S. chemical warfare unit to South Korea. The following quotation has been chosen from a bulletin launched by the secretary's office of a "United Committee for Peace of the North Korean Homeland". It was published yesterday, April 3, by People's Network 人民网, Beijing. The bulletin is saying that U.S. Army's 23rd chemical [warfare] battalion, stationed in Seattle / Washington, is being deployed to South Korea once again. This unit [was] stationed on a U.S. military base in South Korea's Northern Gyeongsang Province until 2004, later returned to U.S. homeland [likely] to take part in [future] warfare against North Korea. When the U.S. are once again deploying that chemical [warfare] unit to South Korea, this is a provocative behaviour directed against North Korea which cannot be tolerated again. It is clearly showing the criminal attempt of claiming to inflict horrible nuclear disaster and crude chemical warfare sufferings on the North Korean nation. North Korea's army and people can by no means look unconcerned on U.S. and South Korean crude chemical warfare manoeuvres, as has already been stated. No matter if America is using nuclear or crude chemical weapons in an offensive, [everything] used in the very first battle will be smashed. There is some ambiguity in the Chinese language regarding the expression 大队 which can be translated as either "regiment" or "battalion". As to the above mentioned U.S. Army unit serving in Korea there are two related links: The "23rd Infantry Regiment" and the "23rd Chemical Battalion". While the North Korean source is obviously referring to the 23rd Chemical Battalion, the 23rd Regiment as well served in Korea as a superior army unit, it seems. However, the 23rd Chemical Battalion should have its homeland garrison at Joint Base Lewis-McChord. The facility is an amalgamation of the United States Army's Fort Lewis and the United States Air Force's McChord Air Force Base which merged on 1 February 2010 into a joint base located in the federal state of Washington near Tacoma, Olympia and Seattle. The Eighth Army announced on 17 December 2004, that the Headquarters and Headquarters Detachment, 23rd Chemical Battalion and 2 chemical companies had completed their relocation from Korea to Fort Lewis, Washington, as the final phase of the chemical decontamination mission transfer to the Republic of Korea Army. According to the statement, the transfer of the chemical decontamination mission from the US military to the Republic of Korea military had been completed in August 2004 with the US military to eventually transfer 10 missions to the Republic of Korea military as part of the Strategic Policy Initiative (SPI) mutually agreed to by both nations. Placed under the administrative control of the 555th Engineer Brigade while in garrison, the unit was subsequently assigned to the 20th Support Command (CBRNE). On 24 January 2007, the 23rd Chemical Battalion deployed to Afghanistan in support of Operation Enduring Freedom 06-08 in support of Combined Joint Task Force-82, led by the 82nd Airborne Division. The Battalion was charged with executing non-standard operations of provided Base Operations Support to 5 Forward Operating Bases throughout Regional Command East, Capital and South, as well as augmented Task Force Cincinnatus Staff Sections. .......... The Battalion redeployed from Afghanistan on 25 January 2008. On 4 October 2012, the Department of the Army announced the relocation of the 61st Chemical Company, the 62nd Chemical Company, and Headquarters and Headquarters Detachment, 23rd Chemical Battalion, from Joint Base Lewis-McChord, Washington to the Republic of Korea. There the Chemical Companies would provide Nuclear, Biological, and Chemical reconnaissance, equipment decontamination and consequence management assistance to support military forces. This action was in support of Headquarters, Department of the Army initiatives involving US forces conducting a sustainable pace of presence operations abroad, including rotational deployments and bilateral and multilateral training exercises. These activities would reinforce deterrence, help to build the capacity and competence of US, allied, and partner forces for internal and external defense, strengthen alliance cohesion, and increase US influence. This force structure change represented an increase of 290 military and zero civilian authorizations within the Republic of Korea and a corresponding decrease in authorizations at Joint Base Lewis McCord. The Army expected to complete the stationing action by 16 January 2013. Foreign media: North Korean official website suffered from a hacker attack. On April 5, 2013, New China Network 新华网 is quoting a report from Agence France Press AFP published the day before. According to that source, some anonymous hacker (group) should have invaded an official North Korean site and related Twitter and Flickr accounts in order to replace pictures of Kim Jong Un with caricatures. 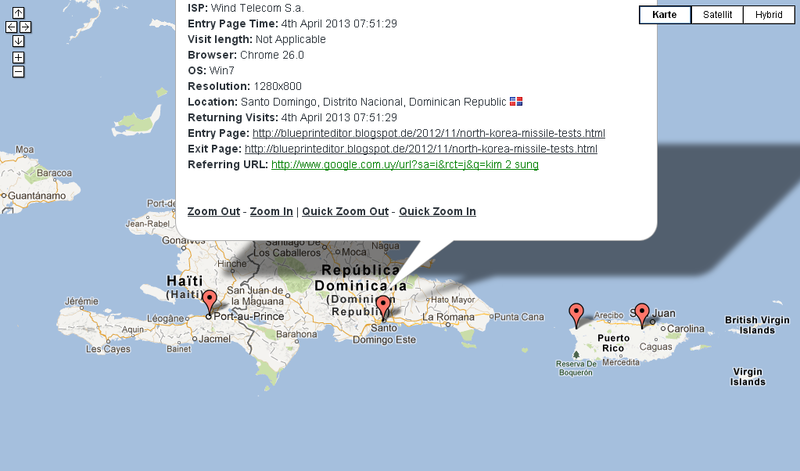 The anonymous pretends to have almost full access to the North Korean intranet. The picture inserted in the above article from China is showing the White House in Washington as a possible target of a North Korean missile attack. News [office] of the Russian embassy: North Korea suggested the Russian embassy in North Korea should quietly leave the area. According to a spokesman of the Russian embassy in Pyongyang, the North Korean ministry of foreign affairs proposed the Russian embassy staff to leave the country. Same goes with the embassies of Britain and Germany. All embassies were requested today, April 5, to leave until Wednesday for not specified security reasons. Germany's minister of foreign affairs already summoned the North Korean ambassador to transmit an official statement on behalf of the German government. For the time being, Britain is not planning to withdraw its embassy staff stationed in North Korea. Meanwhile two rockets considered as medium-range missiles have been unloaded at a launching pad on the east coast of North Korea near Wonsan. Such missiles could target the U.S. base on Guam or Japan. Two South Korean destroyers equipped with missile interception technique have been deployed to the Yellow Sea and the Japanese Sea.